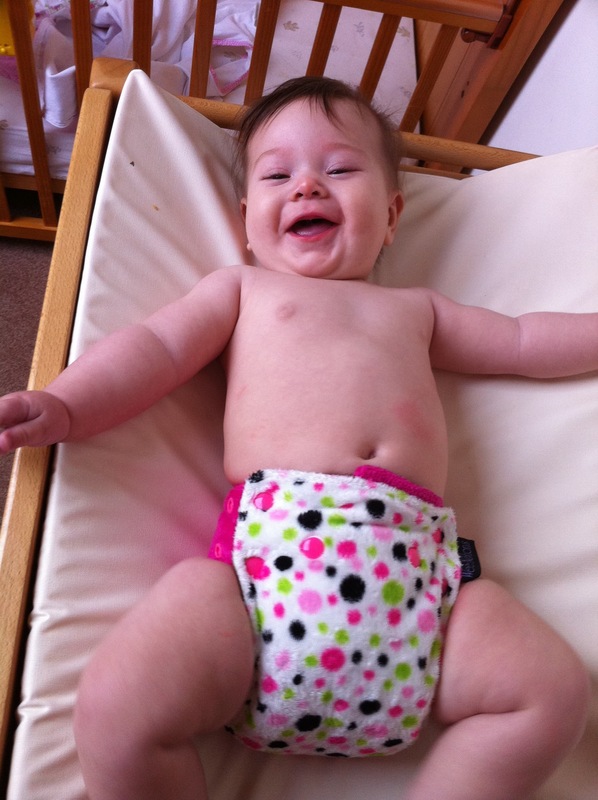 As promised, here’s Felicity sporting a rather Evangelical nappy. 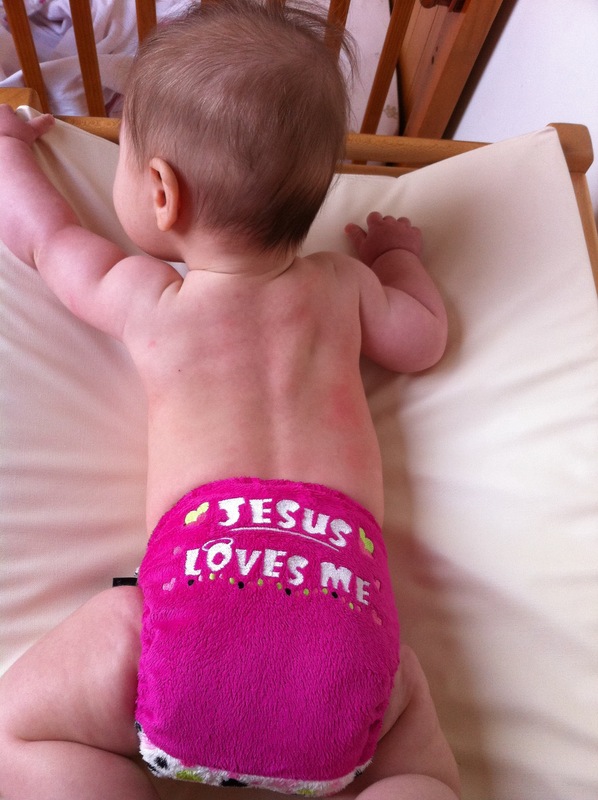 I found a website with embroidery suitable for Church linen but am wondering whether a nappy embroidered with an alpha and omega symbol would be entirely appropriate? In the meantime, any suggestions for snazzy designs are welcome. How about a “Catholic Voices” nappy, a papal flag or the SPUC logo? I think perhaps not Alpha and Omega. You could, of course, have an Alpha on the front and a Beta on the back, as the ancient Greek for No 1 and No 2!